As one of the most popular dental tourism destination in South East Asia, travelers from all over the world seek affordable, quality dental work in Thailand. The city features several highly-rated international dental clinics which offer dental implants at reasonable prices and procedures are paid in the local currency, the Thai Baht, and are thus doubly affordable for those from strong currency regions such as the USA, Canada, Australia, and the EU. This impressive yet romantic city offers every conceivable form of accommodation, from traditional Thai hospitality to the grandest western hotels. Pattaya also offers quality and affordable surgical removal, dental implant or veneer work. English speaking dentists regularly perform tooth implants, take impressions for dentures, and fit porcelain veneers for western dental tourists at a lower dental prices and they are members of the International College of Implantologists or associate members of the American Dental Association. Bangkok is also an ideal destination to have those smile enhancing dental veneers done affordably and in a premium dental clinic. Veneers are an expensive luxury in the West but can be fitted at a fraction of the price in Bangkok. Pattaya boast variety of activities, accommodation, nightlife venues and restaurants including authentic foreign eateries for locals, Expatriate Foreigners and Dental Travelers alike. The average Australian, whether insured or not, faces the same dilemma: Where in the world to get the same level of dental care that matches their first-world lifestyle. Australians have discovered that the most exotic thing their Southeast Asian neighbors offer is affordable dental care. We are seeing the best of both worlds, where people are discovering that they can combine pleasure trips with health care. Vietnam is one of the best value destinations for dental tourism in the world. It offers an affordable destination for travel and tourism, with well-trained dentists and excellent services. Dental tourists from Europe, North America and Australia explore the delights of the cosmopolitan capital, and benefit from highest standards of dental treatment readily affordable on the cross rates. Ho Chi Minh City dentist's implant, veneer, crown and bridge skills is in comparison with the best in America, Australia and New Zealand and are generally less expensive on exchange rates, even after taking travel and accommodation costs into account. Americans have discovered dental tourism. With early retirees and those looking to travel, they are finding that the fantastic vacation destinations that they have been longing for are also the top spots for foreign dentistry. English being one of their official language, it wouldn't be hard to get around and ask directions from anyone whom you could come across. Even so, with your dentist. The city has a network of English-speaking dental surgeons eager to assist with porcelain veneers and all other forms of dental treatment. The Philippines set out exclusively to build a first-world model for dental practices to grow up under and develop into as a leader in the region. Getting implants, for the same price as bridges would cost back home, will pretty well pay for your trip. The dental industry has also been enjoying a quiet boom, with advanced treatments including implants, porcelain veneers and dentures pricing up to 80% cheaper on the cross rates, but comparable in quality. Tucked between Thailand, Vietnam, and Laos, the country is quickly developing new destinations such as the beach areas in the south and trekking and adventure travel in the eastern provinces. The branded, global hotel chains are already here with more on the way. These new Cambodians aspire to quality education, health care and access to the consumer goods they see on international television channels. Due to this modernization and embracing the future, dental clinics are up to date and state-of-the-art offering standard treatment plans for crowns, bridges, cosmetic dentistry, and routine cleanings. Malaysian Dentist are keen in upholding and maintaining professional standards and ethics in the practice of dentistry. Indonesia offering tons of places to visit and a truly dental destination with high quality and affordable dentistry. Bali represents value, quality, and convenience for dental services known by dental travelers, particularly Australians. India is already famed for its yoga and meditation, and now it is catering to tourists’ smiles, having recently become a hub of dental care. Russian Dental Industry has grown to become possibly the most advanced and potent aspect of the Russian medical market. Mexico shares its frontier to the north with the United States, which is why Mexico is the go-to-place for a quick, affordable dental treatments. Practitioner with proven experience of American standard-veneers, implants and cosmetic surgery with prices that are exceptional by western standards. With fully licensed and certified dentists and dental specialists, Nuevo Progreso is a place of near solitude that offers an affordable dental and health care alternative as well. This place has been where Californians and other Americans go to get affordable dentistry done. A town that emerges as the dental archaeologist’s choice. It has everything going for it, including dental services at great rates. You could get your dental implants, laminates and cosmetic work done for half the price you might expect, and even be back in the United States the same day. Most clinics in Los Algodones speak fluent English and will pick you up at the airport or meet you at the border. These perks and extras are the hallmark of Mexican dental clinics that really care. Costa Rica offers superb opportunities for western dental patients requiring a top-class implant, veneer, crown and bridge treatments in a country where their currency goes further. San Jose is beautiful, safe, and affordable. Costa Rica is also one of the most mature dental tourism destinations in the world rivaling Thailand and Mexico for cost, quality, and ease of access. In Peru it's easy to combine a reasonably priced, first class, necessary or desired dental treatment with the pleasure of traveling this amazing country. A competitor when it comes to affordable dental treatment destination also known for its rich and distinct culture, which is characterized by a fusion of Spanish and Indigenous influences. Of all the countries that offer tourists the opportunity to get their teeth worked on while away on a short stay, Guatemala has taken dental care to a new level wherein Dental surgery is the pride and joy of the Guatemalan dental trade. The country is fast catching on among citizens of the Global North for its quality dental care and world class sites for cultural tourism and adventure. Dental costs in Argentina are considerably cheaper than in the USA and most European countries. Orthodontic care in Argentina is also of an extremely high standard and is a fraction of the cost of similar treatment in many other Western countries. 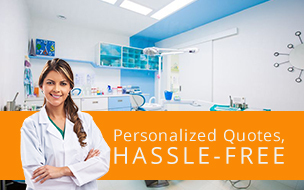 A booming player when it comes to affordable dental services and premium clinics. The medical and dental tourism boom is on and the savvy, cutting-edge crowd has been flocking to tiny Ecuador, nestled on the Pacific coast of South America, for great medical care at exceptional rates! Dental care in Hungary is considered to be some of the best in the European Union, if not the world. Clinics specialize in all dental replacement procedures, including crowns, bridges, and implants, supported by the most modern dental laboratory products available. Britons are opting to travel abroad for dental treatment, with Hungary being the top destination. Dentists in Hungary, Eastern and Central Europe provide world class dental procedures and services, with highly qualified dentists with an excellent knowledge of current dental technologies and procedures you can rest at ease knowing that you are safe hands. Turkish Dentistry has reached the power and maturity of the international scale to compete with the entire industrialized countries. The competitive capacity and the vision acquired are increasing our expectations for the future. Many of the factors that spur people to travel for their teeth, intersect in a city which is not only a vertex in dental health care, but also arguably the primary geographical and cultural intersection of the world. Romania has earned itself an excellent reputation for the high quality dental services it provides. Dentists in Romania are trained according to the highest medical standards in Europe. Spain's dental clinics where all aspects of treatment can be obtained, offers low cost dental treatments to neighboring countries. Croatia is a country with an incredibly rich cultural legacy, pristine beaches and gorgeous landscapes combined with quality dental services, it is truly a magnificent Mediterranean getaway. Varaždin is the perfect place if you are looking to combine culture and history with excellent, affordable dental care. Dentists in Macedonia have earned a top-notch reputation and present a high level of professionalism and state-of-the-art care. With the best dentist clinics, offering high-quality services to international standards, you will be amazed by the holistic services medical tourism in Georgia has to offer. Tbilisi clinics are full-service as in other parts of Europe offering deep cleaning, extractions, Panoramic 360 x-rays, implants and dentures, or just about anything dental one can think of. It is the perfect destination if you are looking for a well-deserved holiday and top quality affordable dental services. Serbia’s success is the combination of low treatment costs and friendly, welcoming staff. The fact that most clinics also speak English is an added bonus for many European and especially American healthcare travelers. Belgrade is also known for low dental treatment costs and friendly, welcoming English speaking staff. Montenegrin dental tourism is flourishing in recent years, due to the reputation of dental clinics who work with best materials and highest standards, offering inexpensive treatments. South Africa has seen an increase in tourism as a result of the superior quality of dental care available in combination with its general tourism appeal. Egypt provides a once in a lifetime opportunity to visit the cradle of civilization as well as to take advantage of highly trained and experienced medical and dental professionals in the Middle East.